Had a great trip down to Crabtree Falls. 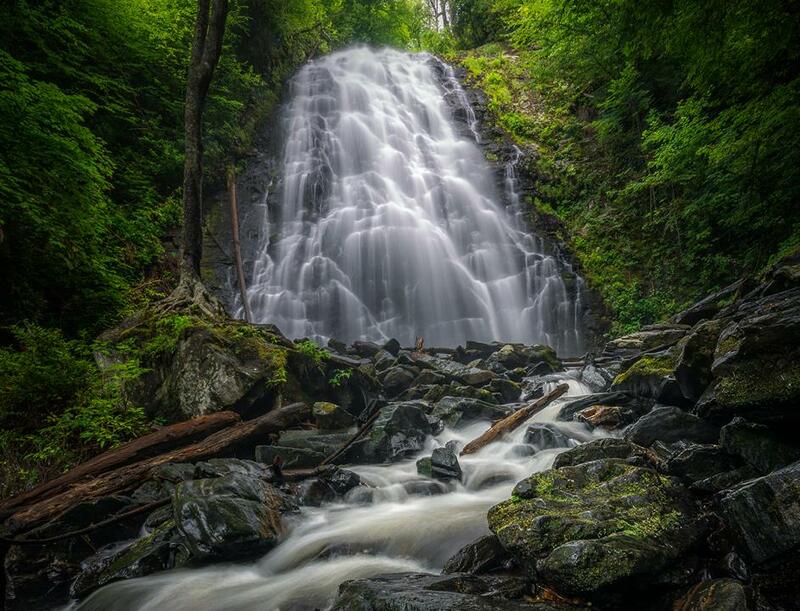 Crabtree Falls is a 70 ft. cascade on Big Crabtree Creek. The creek spreads over a rock face with many small ledges, giving it a delicate appearance, before trickling into a clear pool at the base.